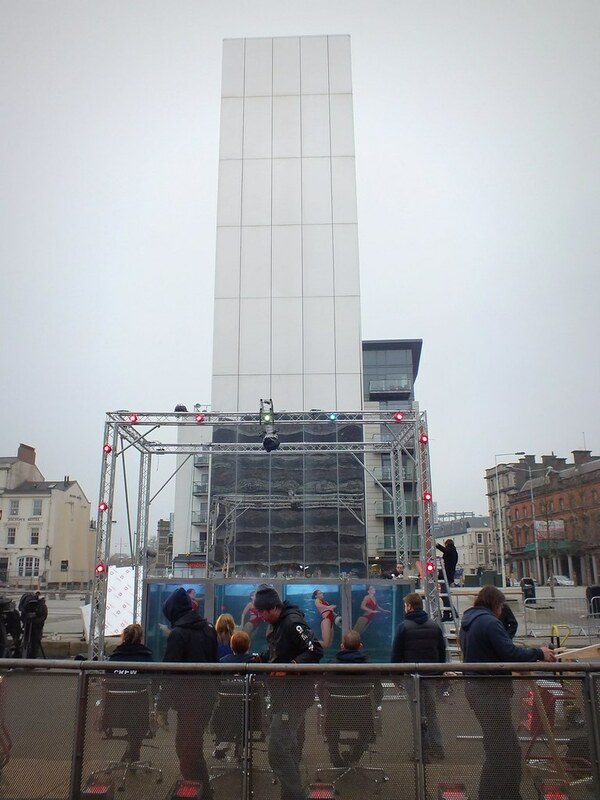 Back at the end of January 2012, the Britain’s Got Talent circus came to town and made home at The Wales Millennium Centre in Cardiff Bay. Over 60,000 people auditioned throughout the UK for a place on Britain’s number one talent search – trying to please judges Alesha Dixon, Simon Cowell and David Walliams. 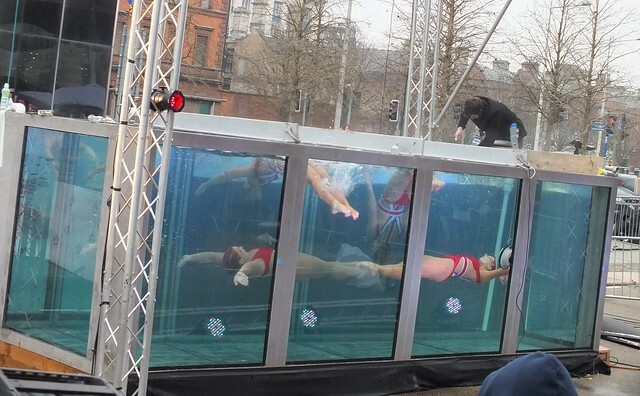 This year some ex-Olympic synchronised swimmers entered and had to set-up their swimming apparatus outside the theatre as it was too big for an internal showing. 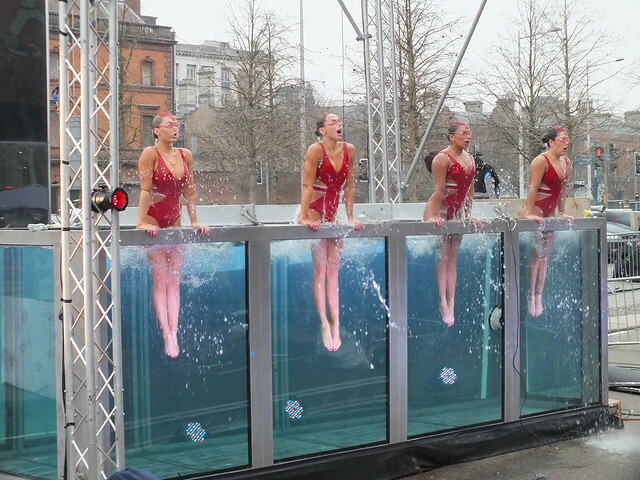 Emily, Zoe, Jazmine and Elizabeth, aged between 21 and 28, made up the synchronised swimming act Aquabatique. The four ladies wore dressing gowns and hid in the local coffee shops before braving the elements and getting into the water. The water was pumped in earlier by local firemen and so was already extremely cold to begin with! But then you could see some steam rising from the pool so I wondered whether there was some sort of heating element around the bottom to take the chill off for the girls? 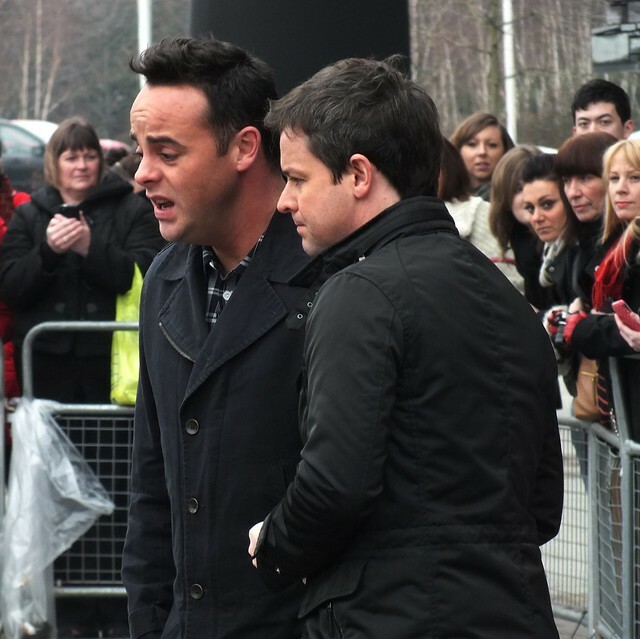 The weather wasn’t great on this day of auditions where the BGT judges had to sit under a canopy and try and keep warm…unlike the swimmers who were battling zero degree water! 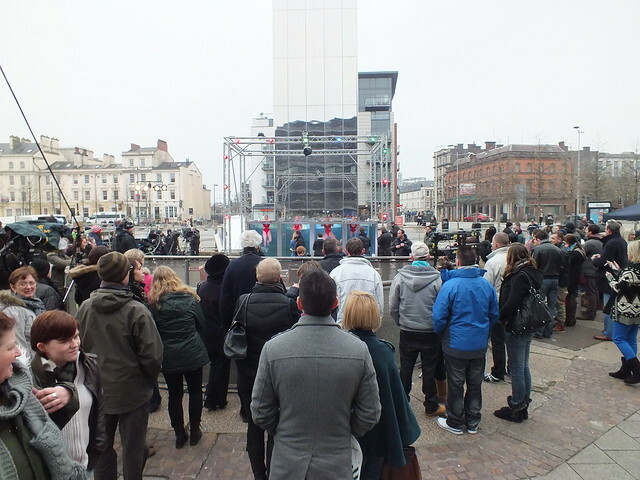 The soundtrack continually pumped around the Oval Basin whilst the girls practised and the television crew had a technical rehearsal making sure everything worked! 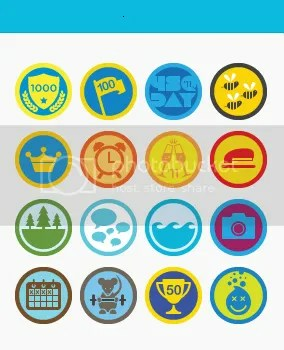 The whole set had an Olympic theme ranging from Chariots of Fire to Daft Punk and Rocky! “Yeah, and excited and you look amazing! It’s like having a see-through bath,” Simon concluded. I really enjoyed the show, Can you please tell me what the name of the first song is (used in the act. Thaks!